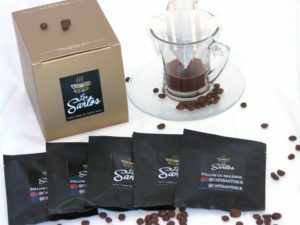 At SB Café Los Santos, we dedicate ourselves to the exportation and commercialization of high quality toasted coffee, a coffee with aromas and tastes unique to the Costa Rican origen. Sindy Sevilla is the owner and founder of SB Café Los Santos and started her project in 2015 when she her dreams came true of supporting and growing her community. 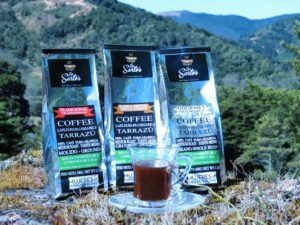 The gourmet and specialty tastes of the coffee has allowed SB Café Los Santos to exceed expectations of the consumers – a coffee that is traceable from the coffee plantation to the cup. Since she was little girl, Sindy was surrounded by the world of coffee. She picked coffee as a child, not knowing that one day she would come back to this precious part of her childhood. SB Café de Los Santos started as a way to contribute to employment in her community, especially to help women heads of the household and to help provide to the family’s income. 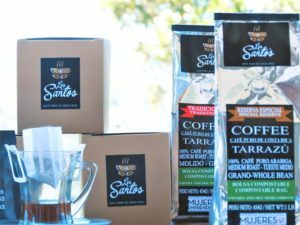 Then in 2016, Café de Los Santos made its first exports to the USA, using all the necessary training and logistics to carry out this feat. Sindy has experience with coffee as a barista, which has developed her palate, enabling her to distinguish a good coffee. Initially lacking in administrative experience, she has grown and can now identify opportunities in her business and turn them into strengths that not only help the business but also her community and family. With her determination, Sindy has broken through gender barriers in entering a very masculine business field. growers themselves are involved as suppliers, allowing them to place their coffees in multinational value chains. The challenges are constant, but this allows Sindy to develop new processes and innovate with her coffee. 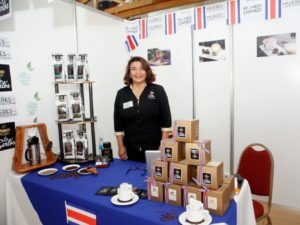 She has found that the same things that challenge her have also helped her to inform her consumers of the best methods of using coffee, including before and after they can be aware of trends and the needs of the community. Sindy advises new female business owners to create commitments and stick to them, challenging themselves to get better every day. She also says they should commit to learning something new and incorporating it into their businesses and lives. Constant learning and continued education opens the door to innovation in business and greatly helps companies anticipate desired expectation of its customers. Perseverance and organization go hand in hand to achieve favorable results for the business. WEAmericas sets the tone and gives you the tools to recognize when a project is profitable while allowing us to grow as successful people and entrepreneurs in any market. 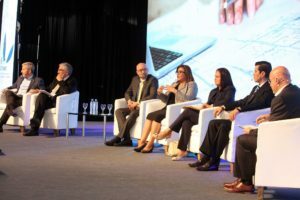 Sindy had the opportunity to speak at a business forum with the Inter-American Development Bank. She said it was an enriching experience, with networking and information sharing with other businesswomen who can help reach new markets. She said that above all it’s important not to forget about the social and environmental approach that companies can provide customers. She was exposed to other business models that allowed her to analyze her own and be in search of ways to improve local communities. You can see the interview here. That our customers consume high quality coffee, with flavors, smells, and a unique origin. A coffee that is traceable from the plantation to the cup – at the same time contributing to and respecting the coffee-growing communities and the environment. The SB Café Los Santos has three lines of coffee: Gourmet, Traditional, and Special Reserve. Gourmet: for those that like a coffee with a floral aroma and sweet tastes; perfect for people who like coffee, but nothing intense. Toasted half ground and in grain. Traditional: a coffee that goes well with any breakfast. It has tastes of citrus and peanuts. Medium roast, ground. Specialty or Special Reserve: a coffee for those who like to live life intensely with flavors of dark chocolate and plum. This coffee is balanced with acidity. Medium, grain and ground. All of our coffees are backed with a 100% compostable bag, so they give you the satisfaction of contributing and respecting our environment! We are a company certified by WEConnect International. This organization certifies that we are a company owned by a woman and allows us to participate with multinational companies that need to meet their diversity goals. Our unique coffee is from Tarrazú, an area recognized worldwide for growing and harvesting one of the best coffees in the world, with awards of excellence. Want to know more about the WEAmericas Accelerator? Find out more about us here! Interested in investing in these incredible women? Find out more here! Check out the catalog of all of the first Cohort’s businesses!